The need for physical contact is deeply human and anchored in our body, which responds to gentle touches with the release of endorphins and oxytocin. Research has shown that tender touch reduces stress and strengthens the immune system. And all those who go to cuddling parties, contact improvisations or Biodanza help this need, which is perhaps lost more and more in the modern world. In the very early stages of our lives, touch is vital. The sense of touch is regarded as the first of all human senses. It is developed in the womb even before the embryo is two centimetres tall. It has been observed that an embryo reacts to first contact stimuli as early as the eighth week of pregnancy, long before it can hear or see. Premature babies lying in incubators gain more weight if they are massaged regularly. Infants, on the other hand, develop less well if they are embraced by anyone. We all have a history with touching and being touched, body contact, closeness and distance, from very early on, with many imprints. We have memories of pleasant, lustful, calming and connecting touches, but also of painful, inappropriate, insensitive or violent physical contact. In many schools of breathwork, body interventions play an important role, while there are others where this is not used at all. This article is about gaining an insight into the complexity of this issue and sharpening the sensitivity for this area of therapeutic interaction. When we engage in a process of conscious breathing and deepen and accelerate breathing, we enter into an unpredictable inner state. Because by changing the metabolism through breathing as if we were exerting ourselves physically, even though we lie quietly on a mat, a chaotic state arises in some systems of the body. The further course of a session cannot be planned and foreseen in advance, but is always good for surprises. This phenomenon characterizes the special power of breathing sessions. Existing patterns on the physiological as well as on the emotional and cognitive level get shattered and have to be reassembled afterwards. This is the experience of being born again, which gave the name to the method of Rebirthing. The therapeutic effect can be seen in the rise of suppressed or repressed material from the depths of the soul, due to pattern interruption. Then it can be accepted and integrated. On the other hand, this power that is triggered by intensified breathing requires particularly careful and responsible form of guidance. The most important aspects the accompanying person should convey to the breathing person are trust and unrestricted presence without judgement, as well as caring for safety in the environment and keeping up with the breathing rhythm of the breather. These aspects describe the therapeutic attitude, i.e. the attitude that the therapist adopts towards the breathing person, granting her the security and confidence to engage in deeper feelings and difficult inner experiences. In addition to these accompanying postures there are interventions with which the accompanying person influences the breathing process. These can be verbal (e.g. supporting or clarifying sentences) or physical measures. There are techniques that are taught in training and used in practice together with intuition. The forms and areas of application of body interventions are very different in the different breathing schools. 1. Deepening and facilitating the flow of breath by eliminating physical blockages, tensions and inhibitions. 2. Bringing up feelings stored deeper in the unconsciousness. 3. Support, comfort and emotional nourishment. On the one hand, physical contact helps in opening and releasing blockages of breathing, so that dysfunctional breathing habits, which have developed over years, can be changed. With the help of these interventions the respiratory flow should become freer and take up more space in the torso. For example, pressure is exerted on the chest or loosening movements with the abdominal wall are applied. These procedures are comparable to the methods used by masseurs and physiotherapists. Through an external tactile influence, the body system of the person concerned should be brought back from a dysfunctional to a healthy state. In this form of intervention, the therapist is the expert and the breather undergoes passive treatment. This aspect of touch is done with the intention of awakening feelings that are slumbering inside the breathing person so that they can be expressed and thus felt in their fullness and finally integrated. Feelings have their representation in the body, and the tactile contact to the corresponding areas can help to feel the emotion more clearly. It facilitates the external touch to maintain the connection with this area within the body from within. By strengthening the inner relationship, it is possible to experience and accept a feeling more deeply. In addition, the direct contact can support the easier acceptance of unpleasant and stressful feelings. Many of us have missed maternal or paternal strength and support we had needed as small children to learn to handle our emotions. These needs can be reactivated and appropriate touch can fill up the lack that is left from this early phase of life. Third, body contact can be used to help deal with grief and emotional pain. When we are confronted with deep pain, it is mostly about experiences of loss: Human contact has been lost or we have never received it in the way we would have needed it. At this point in the breathing process the touch by the accompanying person can help that the feeling of being alone or being left alone is not repeated. Touching can trigger the release of hormones that have a comforting and soothing effect. The contact gives the signal: "I am there and I am accompanying you through your pain". A negative experience of deficiency can be replaced by a new belief: "When I feel bad or sad, someone is there for me". The nonverbal area contains a fundamental ambiguity. In the verbal field, it is often only with difficulties and via detours and feedback loops that unambiguous communication can be achieved. Especially in the area beyond words, there are many reasons for misunderstandings and unclarity. Every person brings along his or her own story touching and being touched, and with each touching and being touched this story unfolds its effects. Each part of the body is marked by individual experiences, which are often stored on several layers. When we touch a certain part of the body of another person, it is impossible to know in advance, which history we will activate with this touch, which memory will be released and which process will start. Let us take an example. The companion puts his hand on the head of the breather. This touch can evoke different associations and emotional memories. It can be a reminder of the unfulfilled longing from childhood to feel the loving and appreciative hand of one's own father on the head. But it can also remind us that it was the hand of an uncle who initiated an abusive situation with this gesture. Or it reactivates a disparaging patting touch, which was subtly experienced as unpleasant. One and the same touch can be experienced as a welcome, long missed confirmation or as a burdening and retraumatizing transgression of borders. The therapist cannot know beforehand what the client's touch will trigger, even if he already knows a great deal about her story. In the process of breathing, body memories are evoked that would otherwise slumber far below the surface of consciousness. Touching has a particularly profound effect, which is much more powerful than verbal intervention, because the memory is reactivated directly at the point of contact between body and body, without the brain interposing its capacities for memory and speech. Touching is a primordial form of contact with the outside world. The first experiences are made in the womb, in contact with the uterine wall and in tactile touches coming from outside on the abdominal wall. During the birth the contact with the mother's organism in the birth canal intensifies dramatically. At the end of this process, the hands of an obstetrician and other contact experiences that are completely new for the experience of the tiny being usually come to the fore. When we imagine a baby (or ourselves as a baby), it immediately becomes clear that we all came into the world as highly sensitive beings. Anyone who has ever carried a newborn baby in their arms knows about the sensitivity and permeability of these tiny creatures. Anyone who has ever carried a newborn baby in their arms knows about the sensitivity and permeability of these small creatures, who still have hardly any protective body boundaries. That is why touch that take place in this early phase are of enormous importance for the development of the world view, i.e. the image of the outside world. Is it friendly and attentive or rough, demanding and insensitive? Is my sensitivity respected or are the fine boundaries of my body overlooked and carelessly transgressed? In this context it becomes clear that in this early phase of life, stronger, more powerful to coarse touch Aare totally unappropriate, but that a distinctive form of sensitivity is required in order to convey security and trust to the small being on the tactile level, qualities the baby needs to grow well inwardly. So if a breathing person is in this phase, an overly dosed intervention can have devastating consequences, because it repeats a too rough and therefore unconscious abusive experience of touch, thus confirming the original suffering instead of healing it. This means that the therapist must know exactly in which phase of life the client is currently in her regression in order to dose her touches correctly. Without intuitive clarity, it is better to hold back with interventions so as not to run the risk of causing lasting damage. Particular caution is required in the abdominal area. The precious abdominal organs and the complex enteric nervous system that connects them, our enteric brain, are protected only by the abdominal wall, not like our head brain, which is surrounded by powerful skull bones. For example, a breathworker knows about acupressure points in the right upper abdomen which can alleviate depression according to the corresponding theory. But the breather is about to experience his or her vulnerability in a sensitive phase of his or her early history, so the applied pressure massage can be felt as a massive violent intrusion into his or her own body sphere. All of us have a detailed and history of physical contact, reaching far back into early phases of life. This history is largely unconscious but nevertheless influences our lives. In the breathing session, in which we quickly find ourselves in a vulnerable state, in which our sensitivity is activated, it is particularly delicate whether and how we get touched. What one person experiences as a pleasant and invigorating touch can arrive at the other as a burden and as annoying and disturbing pressure. We have all been touched rudely, carelessly, negligently or roughly in the very early stages of our lives. Perhaps we were passed from adult to adult as a showpiece in a cheerful circle, shuffeled from one aura into the next in quick succession, and were completely overwhelmed and irritated by this mishmash of gifts and lovelessness. Every single one of these experiences has left its mark and has been written down in our book of the history of body contact. Details and emotional contents of these memories can appear later during a physical intervention, relatively independent of the intention of the person applying the touch. Because if we are in a regressive state, which can appear quickly in a breathing session, we are much more sensitive than in everyday consciousness. We often receive surprising and sudden information that was previously inaccessible to us. Often this is information whose meaning cannot be immediately expressed in words and cognitively understood, but which is nevertheless immediately evident, present and real. In this state, touching is more intense and ambiguous than in an everyday situation, because the physical memory that stores early and earliest memories is more easily accessible. It should be kept in mind that touching and other physical interventions guide the flow of information opened by breathing in a certain direction and, in some cases, manipulate it. Sometimes, they can come in appropriately if they focus the process of experience towards an important point of self-descovery; but they can also be experienced as strong disturbances and cross-border interventions if they do not fit the inner process and especially if they are applied insensitively. Here we can distinguish two types of disorder experienced by the breathing person: There are disturbances that shake the comfort zone, or disturbances that throw the deeper, autonomous process of experience off course and push it in an externally induced direction. The former are provocative interventions designed to interrupt a habitual pattern.In principle, such interventions are helpful because they help to release more energy and vitality. Although our inner self likes to react to impulses for change with resistance and perseverance, this barrier can be overcome more easily and quickly with targeted and empathetic interventions. The accompanying person is experienced as a support for a step of liberation, which often quickly takes off when the intervention corresponds to the self-healing tendency inside the respiratory and psycho-physical system. Basically, the following principle should never be lost from sight that only resistances that have been previously respected and understood can be overcome sustainably. Resistances are protective mechanisms that were originally necessary and helpful for survival, as such they should be respected. A therapist who has internalized this attitude will always be attentive and empathetic in helping to dissolve resistances. On the other hand, it should also be noted that any assault can be experienced as support or as a retraumatizing exercise of power. Depending on the situation, the accompanying person must ensure that the consequences of the intervention are dealt with in an integrative way. This includes a verbal exchange about the experience and the inner effect of the interventions at the end of the session. In the case of the second forms of the disorder, the client is experiencing and healing a deeper process, in which the self-healing forces have already activated themselves and guide the process. There would be no external intervention necessary, except perhaps a gentle and cautious laying on of hands, which gives encouragement and security. Stronger, more powerful interventions are experienced as interruptions and insensitive interferences. The accompanying person must consider what motivated them to interfere where no intervention would have been necessary. Obviously, his or her own topics have smuggled into the client's breathing process, which should be clarified in an inner work in supervision. What physical contact means, can be noticed by the body sensations and feelings that are triggered, even if only diffusely and unclear. However, with the help of an empathetic and mindful breathworker, more of this meaning can be understood by sensing a physical intervention precisely from both the breather and the sitter, and discussing the experiences afterwards. It is our body and its memory, and not our mind that decides whether a touch is right or wrong. Therefore it is very important that the accompanying person does not mechanically carry out certain interventions dictated by acquired knowledge, but is connected with his own intuition and sensitivity, so that he immediately notices when a touch does not arrive as it was meant to, which then allows to correct the disturbance caused by it. The phenomena of transference and countertransference play another important and noteworthy role in this topic. For example, it happens that clients do not address a touch that is inappropriate for them because they basically trust the therapist more than themselves and do not want to put this trust at risk. They had learned in their childhood that it is better to remain silent when something is wrong than to address it or defend oneself against it, and this pattern can be repeated in the breathing session without being worked on. If there is a hierarchical model of teaching and organization in a school of respiratory therapy, it is more likely that this model will be applied to the processes carried out in the framework and on behalf of that school. Students who have learned that they do not have the truth in themselves, that it is owned by their teachers, will expect this attitude from their clients and will pass it on to them. In Holotropic Breathing, there is a far-reaching abstinence from touch. As little as possible should be interfered with the inner process, and only if the breathing person explicitly asks for it. So any directing influence from outside is avoided. However, this model also has a weakness, because the breather can experience the absence of touch as disinterest and coldness of feeling or as refusal to relate. These are, of course, projections in which the lack of emotional attention experienced by the breather in childhood is revived during the session. But if one fails to make the projections conscious, the injuries and wounds from the early experiences are not healed, but deepened. In addition, possible sources of information, which are opened by the physical proximity through touching, cannot be added to the resources of countertransference if interventions are principally omitted. Any intuitive impulses to intervene are thus blocked, which can under certain circumstances result in an unnecessary restriction of the effectiveness of breathwork. The role of intuition in accompanying is not a nebulous matter, but can be understood from the dynamics of countertransference. 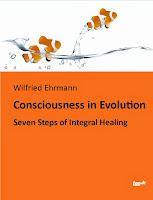 Every therapeutic process (as in any other form of communication) consists of conscious and unconscious levels. Therefore, we can assume that there is an exchange of information between the unconscious of the breathing person and the accompanying person. Often during a breathing session a space of resonance is opened when the accompanying person breathes in the same rhythm as the breathing person. In this space, intuitive ideas or impulses can arise in the therapist, which fit exactly to the process of the breathing woman. Therefore, after Integrative Breathing sessions, the breathers repeatedly report back that touches were made at exactly the right time and in the right way and were desired from inside, as if the companion had read the wish from her eyes. We can understand such phenomena as the interaction of the unconscious levels of the experiencing and the accompanying person. In the language of Holotropic Breathing, this means that there is a flow of communication between the inner healer in the breathing person and the corresponding and allied healer in the sitter. It is as if the person sitting next to the breathing person would hear inwardly what needs and desires the breather transmits on the unconscious level. There are models in bodywork and in various schools of breathwork that assign certain emotional themes to certain regions of the body. Often they are transmissions from everyday wisdom such as "rage comes from the belly" or "in grieving the heart breaks" etc.. The chakra teachings and their assignments are also used, e.g. "Trust is present in the root chakra" and "Communication problems have to do with the throat chakra". The use of such models goes in two directions: If someone comes with a confidence problem, then the strengthening of the root chakra can be worked on. If someone feels tension in the solar plexus, then the assumption arises that it can be about unexpressed anger. Thus, emotional themes can be assigned to body regions and body regions to emotional themes. All these approaches have their benefits and their use for practical work. However, the highest guideline for the application is never the model, but always the experiencing person. He or she decides whether an assignment makes sense or not. Some people experience sadness more in the stomach than in the heart, others find different forms of sadness in different parts of the body, etc. So it should never be about confirming the correctness of a model through practical work, but about opening up and exploring the individual meaning of body regions with each researcher. Schools that work with tables and classifications of body regions and related interventions should be particularly careful in their practical work. The previously acquired theoretical knowledge should always have the second rank behind the actual experiences in the current process with the respective person. Beginners, in particular, are not immune to the danger of compensating their own insecurity by clinging to given rules and guidelines. They hold on to the model and explain differing experiences or feedback either as resistance of the experiencing person or attribute it to their own lack of competence. In both cases, they pay too little attention to the particular nature and individuality of the client and neglect the valuable information that can be provided by the client from their own experience. In this context, breathworkers often use the following phrase if the researcher disagrees with the intervention: "Let the touch in and see what happens". So the client should go neglect her own feeling that the intervention is not appropriate and instead trust the therapist. We were all persuaded in our childhood to do something that we ourselves did not want, but our parents did. When we are in a breathing process, we are always connected to the inner state of our childhood or prenatal years. Therefore, any intervention that is not adapted to our real needs and does not respect our will, but comes from an attitude of superior knowledge, will reactivate hurtful and oppressive experiences from the past. It will thus have a retraumatizing effect, as a repetition of an abusive situation, which has been described as a wound in the lower body. Instead of healing, in this case a deepening and consolidation of the suffering occurs, often unnoticed, because the double-bind attachment is revived, which in the original situation may not only have been hurtful, but also paralyzing and numbing. A part of the client’s subconscious recognizes the abuse and the transgression of boundaries. Another part knows about the dependence on the abusing person and about the vital necessity to subordinate oneself to their intentions and desires. If this doubling experience happens in the therapeutic situation as repetition and is not made conscious, an inner division solidifies in the client. And, as a consequence of the originally numbing reaction to similar experiences in childhood, it will be simply forgotten. The accompanying person, who is convinced of the correctness of his actions, because he has learned to act this way or because it has helped himself in another situation, may not notice at all what is going on, but is satisfied with the course of events. At the end of the session the client might thank the therapist, as for her on the unconscious level the confirmation of being a good client is more crucial than gaining more self-assertion and breaking through the manipulative dependence. The therapist naively assumes that he has done a good job. For his self-image, too, it is easier to take the final picture for the whole process and not to reflect more closely and in more detail, what might be problematic. Parents whose children behave the way they want are also satisfied with the result. Their educational work is crowned with success, without them noticing that the inner boundaries of the children have been violated. They have, presumably without naming it that, successfully performed instrumental conditioning: Behavioral modeling through reward or punishment and not through insight and change of attitude. Not only clients are conditioned, but also breathworkers who assert themselves through the apparent success of the action itself and the model they use. The conviction of the correctness of one's own actions produces a closed-loop system: if my correctness is not accepted by clients, it is their resistance to get involved and to cooperate, and only more intervention (e.g. even stronger pressure) will make the desired experience possible. After a longer breathing process most people are relaxed and their smling face is like a confirmation of the success of the work. But relief and relaxation prevailing at the end of the process is no guarantee that deeper issues have been resolved. It can also be an adaptation phenomenon: A repetition of the original form of dysfunctional trauma integration, combined with a strengthening of the inner resistance. And this should always be considered as a possibility. The exact and honest reflection about the course and the adoption of physical interventions should therefore never be missing at the end of a breathing process. Then it can be clarified whether the intervention was helpful or counterproductive. For this it is important that the therapist is prepared to consider the latter possibility and not to dismiss it from the outset by throwing it back to the client's proneness to resist. It may be that some of the emotional charge stored in the body around a trauma has been released, but that the actual dream core is still untouched and possibly even more solid and permanent. Another danger for misinterpretations lies in mixing up emotional catharsis and healing. Some body therapists and breathworkers believe that the extent and intensity of emotional discharge is important for measuring the degree of healing of a trauma. The emotional intensity during a breathing process is not primarily a measure of the processing and integration of mental wounds, but rather an expression of the person's ability to allow emotional expression. There are also people who become dependent on an intensive form of expression and who appreciate or even demand equally intensive physical support for this goal. It can become a habit and solidify the existing emotional patterns instead of dissolving them from within. The client has an intense emotional experience because he has activated one of his traumas, but the passage through the fears in the trauma core can still be missing for full integration. That is why "acting out" in some therapeutic schools is in principle frowned upon as acting blindly, driven by unconscious and misunderstood emotions, a repetition of defensive actions against deeper inner conflicts. Perhaps the client makes up for what was not possible in the original hurtful situation as resistance, thus regaining a piece of the power, which had to be split off at that time. On the other hand, it can happen that the violent transgression of borders, which led to traumatization in the early experience, is imitated in the session and repeated with a reversal of roles, so that the victim can feel like a perpetrator now. If this dynamic is not brought to consciousness, catharsis remains a meaningless blow-off of steam, resulting in nothing more than momentary relief. In breathwork, as in many other therapeutic approaches, we assume that there is a tendency towards self-healing in every human being, which has been mentioned several times in this article. Systems that have been disturbed in their organic processes have an inner knowledge of the undisturbed state and an innate strive to return to this state on their own. However, if the disturbance is massive or chronic, then the systems do not find their way back by themselves. This is the point where we need help. If a cold does not calm down by itself, we need a medicine. If this does not help, we should see a doctor. On the mental level, which basically functions just like the physical level and cooperates closely with it, we also need professional help when our emotional and thought patterns no longer regulate themselves, but begin to lead a life of their own that burdens and hampers us. This help is all the more effective the more it makes use of the self-healing powers in the therapeutic process. In this case the therapist works with the inner energies of the client and uses his empathic abilities. It is a kind of alliance from unconscious to unconscious that the therapist consciously creates and from which the right and coherent verbal and non-verbal interventions flow. This connection is the source from which the therapeutic relationship feeds itself, which also includes everything the therapist has learned and experienced, but in which the client's current inner process of experience exerts the most important influence. From this source intuition arises - both in the therapist and in the client. It becomes apparent that the therapeutic work can never be planned and predicted, but is determined by the interaction of the unconscious and conscious parts of both sides. The therapist's intuition consists in reading the unconscious of the client and implementing the impulses gained from it. The client's intuition shows itself in breathwork especially through the engagement with the breathing process, which leads to levels of experience that are not controlled by expectations and thoughts, but come from deeper sources. In the context of body interventions, it is particularly important to bear in mind that any external intervention replaces something that the client could experience for herself or gain from her own self-healing power. It is a balancing act between autonomy and commitment. The inner conflicts that lead people to the path of self-discovery originate from this field of conflict. In this place of tension, the events in therapy take place. The art of accompaniment in this process consists in bringing both sides to fruition in the therapeutic field and strengthening them equally in the client’s psyche. Too many physical interventions can lead to dependence on the therapist. The client assumes that without external influences and directives he will not progress inwardly. On the other hand, a lack of physical interventions can also be understood as a lack of care and thus create a negative dependency by repeating childhood defects in therapy and transfiguring them as normal. Such patterns should be discussed. A therapist who is aware of these possibilities and perceives signs of such dependencies talks to the client about them in order to bring the patterns into the client's consciousness. This opens the way to resolving the issue, which both strengthens the trust in the therapeutic relationship and thus the ability to bind, and also improves autonomy and self-acceptance. The attention that comes from the therapist does not automatically strengthen the client’s self-awareness - as any outside help does not automatically strengthen the ability to help oneself. Neither does the withholding of attention by the therapist strengthen the client's autonomy, but can consolidate the feeling of lack of it. Finding the right balance is an important part of the therapeutic art and is measured by the trust that can be placed in the healing forces by both parties. The quality of body interventions is a touchstone for the sustainability of trust and thus for the progress of healing that can be achieved. With regard to Breathwork sessions in large groups, I would like to highlight another important aspect. Thirty years ago I experienced Rebirthing group processes with many participants and a few breathworkers. This was still a pioneering time in testing and spreading breathwork. For quite some time this setting seems unsuitable to me, because it has several shortcomings, which can diminish or impair the quality of the experiences and also lead to subsequent problems – and to shed detrimental light on Breathwork as a whole. When many people breathe more intensively in a room, an energy field builds up which influences every breathing person mostly unfiltered. Our subconscious opens up and influences from other people's experiences can flow into our own process without testing and protection. If, however, every breathing person has a second person setting next to him who follows the process in a present and attentive manner, without this second person having to have any training, shelter and safety is created. The accompanying person becomes the main source for the flow of information from outside and should ideally convey security and trust and act as a protection and filter against environmental influences. In this way, the inner process can unfold with fewer obstacles. People who walk around the room and interfere here and there cannot take on this important role. The relationship aspect is part of every self-awareness process. Many, if not all, injuries from our life history have come from the most important people in our lives. So most severe traumas have been inflicted on us by other people. Therefore, in a breathing process, we need a reliable and constant accompaniment that is unconditionally present with us. This person does not need any special training, he only needs access to the general human competence of attentive and mindful presence. Under such conditions, we can go into inner areas of our emotional landscape that are painful and anxious. Someone who comes and goes during the process, but does not stay with us, cannot give this security, but can very likely activate experiences that have to do with the coming and going of caregivers. We suffered as children because we needed more continuity and presence from the adults around us. Again, we are at the mercy of arbitrary existence and its uncontrollable termination, when in a group setting leaders go around and briefly enter into relationships here and there, only to then immediately move on again. Someone who accompanies a breathing process for the first time without any previous experience acquires an intimate knowledge of what is going on in the breathing person. This knowledge does not have to occur in the form of words, but can also have the character of procedural, nonverbal knowledge, which expresses itself in the feeling for the needs and the inner state of the breathing person. Thus, an intense network of relationship is created in which large amounts of information are exchanged at the unconscious level, which is fundamental to understanding and trust. Someone who comes from outside selectively and at short notice is always inferior to this intuitive knowledge, no matter how well trained and experienced he may be. Therefore, people who come from outside would have to take at least a few minutes to make up for this difference and get a sufficient sense of the course and inner patterns of the breather and her process before they intervene. Because it is not only about the observation of a current condition (e.g. a person breathes too little into the stomach), but about the experience of the whole process, from which the individual observation gets its meaning. Every intervention that an experienced leader makes should always be coordinated with the accompanying person, so that their intuitive knowledge of the process is included and they are respected in their role at the same time. For these reasons, the setting in which every breathing person has a companion at his side who stays with him throughout the entire process and then goes through the breathing experience himself in a role reversal seems to me to be much better, more helpful and more professional. Experienced process facilitators can still provide assistance by verbal or non-verbal interventions, if they can deepen the process in a sensitive way and help the breathing on the way to inner healing. This is the standard setting in both Holotropic and Integrative Breathwork and has proven itself over decades. From my point of view, the above considerations result in the crucial requirement that physical interventions during the breathing process can only be carried out with consent of the client. 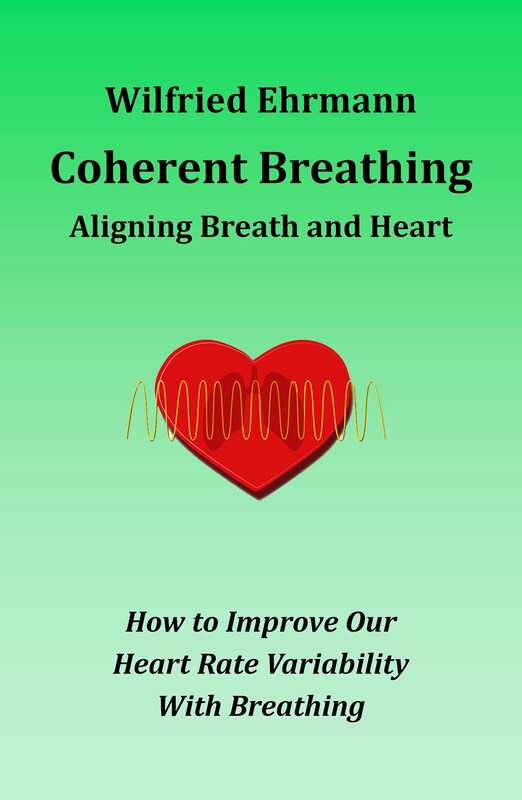 In both individual and group breathing sessions, the possibility is pointed out at the beginning and its role in the breathing process explained. Then we discuss what the client wants and what not. It can also be agreed upon that the client leaves it to the sitter to use his intuition, in case the necessary trust is given. For this purpose, a clear signal of interruption should be agreed with which the client can end an overstraining or inconsistent body intervention immediately, e.g. a gesture or the code word "stop! It is also the responsibility of the breathworker to carefully check with each touch how it arrives inside the breathing person and how it affects the further course of the breathing process. In this way it is ensured that the ultimate control over the use of touches during breathing remains with the breathing person and that assaults are avoided. All topics concerning the dynamics of the relationship between the companion and the breather in this context, which cause confusion or disturb confidence, belong to the supervision of the breathworker. There the personal backgrounds, which probably have to do with one’s own history of body contact, can be reflected and brought to consciousness. In this way, a high quality in this sensitive area of therapeutic work with people is ensured, which is owed to all those who embark on this path of self-enquiry. Aliveness is what makes us human. Being alive means letting the inner forces work outwards, expressing themselves and connecting to the feelings inwards, going beyond boundaries and withdrawing, etc. The life we are takes different forms – if it is allowed. For aliveness can be limited from an early age on. We can assume that any deep hurt or childhood trauma resulted in the loss of a piece of vitality that was replaced by anxiety and tension. This would mean that the more difficult and burdened a person's history has been, the less energy is available for aliveness. In addition, traumatised parents pass the limited form, in which they have learned to live their lives, on to their children. This transference does not happen consciously, but expresses itself in many unconscious reactions to the expressivity of their children: "Don't be so loud, don't walk around, stop crying, screaming/laughing, behave appropriately...". Children express their liveliness through their feelings, starting at the beginning. They react with intense and strong emotions when they experience lack or overflow, when they have to deal with frustration or when they are in full joy. Motivated by these feelings they start to explore their mobility, more and more and further they draw their circles according to the development of motoric skills. The uncensored and unrestricted flow of feelings, the elixir of life of children, reminds their parents of their own lost aliveness, and this memory triggers feelings of longing and fear: Admiration of and wishes for this free form of aliveness – and the fears connected with denial and punishment, which were the consequences of expressing feelings in their own childhood. As many parents have learned to suppress emotions and wishes as a child and to cope with the fear of punishment with adaptation, they pass on this message to their children: Liveliness is dangerous, for you and for others. Joy and exuberance lead to suffering. Dampen your excitement. Thus, you will succeed in the world of grown-ups, which is about adaptation, sacrifice and self-limitation. You will not prevail when you are directed by your feelings but when you learn to suppress them. In not too distant times, the Christian churches in our regions were the moral advocates of the oppression of liveliness. They have done much to establish this pattern as the social norm: You have a right to joy only if there was privation before. Joy is not a birth right, but something that must be earned through suffering, effort, or good actions. Moreover, full happiness was not connected with life, but with death: Those who die in the right way, that is, free from sin, have the prospect of an eternal enjoyment of life. Protestantism has added to this distortion of human nature with the view that not even the effort and achievement of life is enough to earn access to eternal joy, but that grace is only an unpredictable gift that cannot be claimed. The consequences of this ideologization: a society divided into two, with people divided into two in themselves, who on the one hand have to perform without joy and on the other have to maximize joys in their leisure time. Is it any wonder that we have forgotten or minimized laughter? Researchers have found that 70 years ago people spent 14 minutes a day laughing and now only 2 minutes. Liveliness has disappeared and been replaced by "activities" - purposeful doing, performance-oriented being driven. Dutifully, we are stressed from morning till night and thus underline our importance, constantly in motion, but without reference to our vivacity. Guilty of duty, we dedicate ourselves to our leisure programmes in order to maximise relaxation needed for our performance. Functioning and unhampering, adapting and sinking into senseless pleasure, like an English snob standing in front of his Bentley and saying: "Here (at home in the luxury villa) I only say morning, a good morning it's only on my yacht off St. Tropez." Often the pleasure is only to get rid of the burden of deprivation. There is hardly any room left for relaxed enjoyment and quiet happiness. These spaces and times must be created. The conscious cultivation of leisure - something that the "old societies" had obviously somehow managed - becomes the question of survival for the industrialized societies. If our society really develops in a way that only a minority of people are still in paid employment, because otherwise a large part of the necessary work is done by machines, then we should already have created our ability to enjoy the big and small things of life and to develop creativity out of these pleasures in order to express our self, for the delight of other people. This will only succeed if we restore the inner connection to our liveliness. The repossession of one's own liveliness can be equated with the reconnection with one's own body. The organic self-regulation processes that have controlled our development and growth from the beginning of our lives have become unbalanced at some points over time and as a result of insufficiently mastered challenges. They have been replaced by regulations that are based on the expectations of others: How should I behave so that nobody takes offence? How much of my aliveness can I allow before something bad happens? We can understand this revision as re-incarnation in the literal sense: To become flesh again, i.e. to return to the body that we have partially left and to reconnect ourselves more deeply with our own vivacity. The habits of splitting off parts of our self must end for this step, fears of our own energy must be overcome, then the organic self-regulation process can be put into its own right and receive the recognition it deserves. Conscious breathing connects us with our aliveness in the moment. By breathing, we experience ourselves as living beings. We can also use our breathing to "revive" our energy and emotional body - where something has died, life should return. By breathing, we find the way back to wholeness. And if we rhythmically contract our diaphragm while breathing, it could happen that a spontaneous laugh comes up - welcome back to pure vitality. The model of closed and open concepts is not only applicable to organizations and groups. We can also find it when we turn towards our inner world. Our inclination to certain systems in the social, cultural, political and religious world can be connected to systems we carry inside of us. Closed systems exist wherever its core, which is its central value, is unconscious. For instance, we react angrily when someone talks derogatively about our home country. The anger is fuelled by a value, which we deem important and which we want to defend with this emotion. Internally, we are identified with a value, which often resides in the unconsciousness. Still, if it were conscious and we had collected a lot of reasons for defending this value when attacked, it is an identification with a center which we do not want to give up at any cost. Each of these closed concepts, even if are they are small and inconsiderable, has a center. This is the part of the concept which has to be true without questioning, so without lightening up its background, roots and development. When we reject a person and collect all the bad things about her and turn off all the good things, we build up a closed system. Presumably, its center bears an unconscious unpleasant experience, still undigested, of which the person reminds us. We are unaware of this connection, which is drawn by our unconscious mind. For as soon as we realize that there is an experience connected with emotions behind this rejection, the system opens up and the person appears in a different light. Suddenly we can admit that this person also has good sides. In case we want to find a way out of the closed concepts of our inner world, it is important to spot the relevant center. Only then we can start to explore why it is so important to us and why we have absolutized it, why we have put it out of question. What would happen if we would not take it so seriously? What would happen if we would turn an absolute truth into a relative one? Would we lose or win on freedom? Does this mean that we should get rid of all our values as soon as we have discovered them? For sure we need values to secure our orientation in a world of divergent interests and values. It is important to take a stand here and there where values are presented, which ignore the dignity of man and the integrity of nature. For this stand, we do not need absolute values, but values for a flexible use. These can keep us in line with a basic orientation, which is inherent in our lives. This basic ethical orientation is not part of any ideology but is sustained by the innate wisdom of nature and mankind as part of it. It can only vaguely be translated into single values or concepts like freedom, justice and so on. The closer we look at a certain problem, the clearer we get the kind of value best to apply to that situation. The inner way, which is a way towards growing up and ripening, a way to one’s own power and clarity, is a way towards enlargement and opening and includes the continuous release of our unconscious habits of evaluation and judgement and of closed mental systems. We can only succeed in this undertaking by bringing them to consciousness. We have a hell lot of closed systems and concepts in grand variety inside our complex inner world. We can detect them as they show up anytime something bothers or irritates us. Someone shares an opinion we do not like, and we start to think in a negative way about this person – this is a closed system dominating us in this moment. “The inner way includes the continuous release of our unconscious habits of evaluation and judgement and of closed mental systems.” Is this sentence from the context above in itself a center of a closed system, thus with absolute truth? We can turn it into that by permanently and consequently following it and by teaching other people to do that as well and by pointing out to them what the consequences would be in case they do not follow our insight. So we can use this sentence as the foundation of a teaching and gather people around us as followers. We can say that this sentence is true at any time. But we also can say: We use this sentence as an orientation, as an indication for self-inquiry and self-reflection and consider the effects of this form of inner work. We can say: With the help of this sentence or the meaning expressed by it, we check our inner concepts, opinions and beliefs. We search for their centers and ponder whether we need them any longer or not. So we use the sentence as a tool or a methodological guideline and not as an absolute truth. We inspire other people to use it the same way when we notice that it is helpful for us. But we leave them their total freedom to take the advice or leave it or to make something else out of our suggestion. Thus, we have won an open concept which can help us to transform closed concepts inside ourselves and become a more and more open human being. How will we go about our shopping activities in the future? What will our much-cherished shopping experience be like in the year 2028? According to various prognoses, retail trade is entering into a crisis. People will walk into a particular shop, take a look at the product, be given advice and then buy it elsewhere over the internet. Or they will go to the shop merely to pick up something they ordered online. However, it is the major companies that can profit from today‘s technological advancements. Westfield, the Australian-American-British chain of department stores, has announced plans to this effect. These involve: aisles overflowing with artificial intelligence, a farm where any customer can go and harvest vegetables, and smart lavatories giving health tips such as, „You could do with a little more vitamin C, Sir. And how about purchasing a drink from our store before you dehydrate?“ Yes, that sort of language might soon be heard emanating from a toilet. The shopping malls of the future will be „hyperconnected micro cities“. Hanging sensory gardens, eye scanners telling the customers what they previously bought, and smart changing booths in which customers may assess their virtually simulated frame in the considered article of clothing. These offers do not surprise me in the least and will probably fail to increase my low propensity for shopping. What does amaze me, however, is that in the shopping mall of the future there are to be mindfulness courses for people to take. I quite like the idea, yet the project could easily blow up in corporate faces: if people were to become more mindful and deepen their awareness, inner richness would end up more important to them than the shopping activities they carry out on the outside and material goods they buy. The impulse to go shopping, as caused by mechanisms of addiction spurred by the advertising industry, would be considerably weakened. Consumers would become more modest and contented, their needs would become more simple and they would turn from short-lived fashion trends to something longer-lasting. It would indeed be an important contribution to curtailing the dynamised waste of resources. Ergo: Let us go for more mindfulness in shopping malls! Since more than thirty years, the attachment theory based on the research of John Bowlby and Mary Ainsworth belongs to the central concepts of relationship psychology and forms a crucial background theory for psychotherapy. This theory labels three types of insecure attachment and one secure style, which according to several studies around half of the mother-child-relationships can be attributed to. In this article, I want to differentiate the secure attachment style. Secure attachment is characterized by the ability to keep the needs for closeness and distance in a fluid balance. Neither being alone nor being close triggers fears or tensions. Separation is not experienced as existentially threatening abandonment, and being together does not contain a drive to unresolvable melting. Yet there are also secure attachments, which contain elements of insecurity. Probably that is true to all secure attachments, for there are rarely parents who can grant secure attachment to their children on all levels. There is an interesting variation in the following example: Parents can use the security in attachment as a mental and emotional construction for suppressing their own insecurity in attachment. Security of relationships in the whole family system is held up with ostentation. This is often the case in relationships, which started under insecure circumstances on the outside so the founding of a family was meant to form a nest of security, e.g. during or after war or economic crisis. People withdraw from an unbearable reality and build up sheltered refuges for regenerating life. Still there is a price to pay: For the sake of security, individual freedom has to be given up. Freedom is considered as threat for this stability. In this system, people want from the others to be accountable, and this is why they try to behave accountable themselves. To keep up this in itself shaky network of reliable expectations, a lot of subtle pressure and covered manipulation is required. Members of these systems are not acknowledged and safeguarded against loss of love because of their individuality, but only insofar as they adapt to given expectations. Parents demand from their offspring to give them a safety they did not have themselves – and all this happens on an unconscious level – and the children give in to this role, because they do not have an alternative, and refrain from self-centred aspirations. This structure of sacrificing individuality in favour of the system as a whole is well known from the tribal organization of society. Tribal communities in early human history only could allow a small amount of individuality, as the social frame was closely woven and traded knowledge had to be sacred and unchangeable. In the course of history, new developments emerged, which broke the narrow confinements of tribalism and offered more space for individualities to unfold. Yet the remembrance of the cosiness and security of this early phase was never forgotten, and so it can easily be instrumentalised by different ideologies. Interesting for the history of Middle Europe is the connection with the presumed security, national socialism and other fascistic movement have promised 90 years ago, a security guaranteed by an accountable racially unified community („Ein Volk“). As a precondition served ethnical purity, “one” blood without strange ingredients, so that any deviations from an unconsciously created consensus of “the people” would be impossible. This context explains the brutality, with which all that should be eradicated that was racially alien. In reality, what was threatened was not the “purity of race” but the safety of a net of prejudices and preoccupations, which was meant to grant inner security. Successfully, anything strange was equated with unpredictability, which was considered the same as dangerous. The efficacy of this ideology is evidently unbroken up to today and still attracts many people. It is impossible to erect a functioning tribal community (except in the heads of right-wing national populists), just as there is absolute safety in family attachments. Under the guise of love and communion, often subtle dependencies are created, fuelled by the unconsciousness of parents due to their unfulfilled needs for attachment in childhood. The soul wants to get back from the won children what has been missed long before. The secure attachment, parents offer, serves the purpose of receiving love, which was absent in the beginning. Children cover this deficit and start to suffer themselves from the flaw of love, which can only be perceived on an unconscious level. Yet the conflicts of emancipation in adolescence can be very grave in such cases. For the parents, the securities are at stake, which they have created via their children, and for the children, their own life is at risk. They want to retrieve their birth right of recognition of their true self. Every soul wants to set free. Adolescents, who break out of the guidelines of their families, pay a service to themselves and to their parents to check the concepts of love and to define them anew. As long as love is mixed with dependency, there are inner forces, which surface in conflicts. When these tensions can be resolved in a constructive way, dependent attachments can be transformed into free flowing relationships. Thus, a deeper wisdom is revealed, that safety can only be found in inner freedom. Many reflections on these pages are based on my book. Available now as hardcover, paperback or E-book. Copyright Wilfried Ehrmann. Ethereal theme. Powered by Blogger.